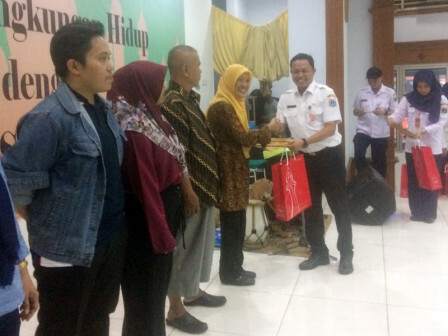 500 waste bank caretakers in the capital get certificates from Jakarta Environment Department.
" We have given certificate to the Bimtek participants"
Certificate is given to participants who have taken technical mentoring session (Bimtek) about Waste e-Bank application on May 28 - July 4, 2018. "We have given certificate to the Bimtek participants," expressed Isnawa Adji, Head of Jakarta Environment Dept., Wednesday (7/4). Bimtek is held to optimize the performance of waste bank activists in Jakarta. Moreover, it also aims to educate the citizens in sorting waste and become waste bank customers. Hopefully, waste e-bank management could be managed online in RT/RW, schools and offices. "It's also in line with program of Jakarta Governor and its partner for community empowerment and collaborative participatory," he stated.